Bhama Kala (67) was still healthy and fit, but despite this she was unable to take care of herself. Due to cataracts, her grandchildren had to take care of her instead of the other way around. Was it day or night? It no longer meant anything to her. She would give anything to be able to see and help her family again, the way she used to. That was her biggest wish, her only wish. In this photograph you see Bhama undergoing surgery. She had been blind for years. It took my team and I a mere twenty minutes to restore her sight to her. By giving 35 euros, you are donating a surgery and helping an entire family get back on their feet. Your gift today will make an eye patient’s greatest wish come true. When Bhama left the hospital to return home, I saw a sprightly lady. She was a completely different person than the one who arrived at the eye camp. I remember that moment perfectly. She stood out from the hundreds of other people who had come to the eye camp. Holding onto her granddaughter’s arm. Exhausted from the long, arduous journey. I almost literally had to catch her. She said that she could hardly believe that she could be helped there. Most of the people who come to an eye camp hardly dare believe that they will be able to see again. They are depressed and withdrawn. They look older than their age. But just as many go home a few days later transformed into a different person! For these people your support is crucial. Organizing an eye camp is beautiful and fulfilling work. We do that with a team of eight people: a surgeon, ophthalmic assistants, paramedic professionals and a driver. It took us three days to reach the site. All our material and equipment had to be transported by car. We drove very carefully all the way. It is bumpy, difficult terrain with no roads or paths. Blind people, who are often also elderly, have to navigate this terrain on foot… We always select the location of the eye camp as strategically as possible so that it is accessible to all the people from the surrounding villages. We have to organize these eye camps for them, because they will otherwise have no access to eye care. People here are very poor. For sustenance they depend on what little they can grow on their small plots of land. There is no money for medical treatments or a trip to the hospital. The eye camps are their only chance, which is why I was so pleased that we had succeeded in helping everyone in our three days there. 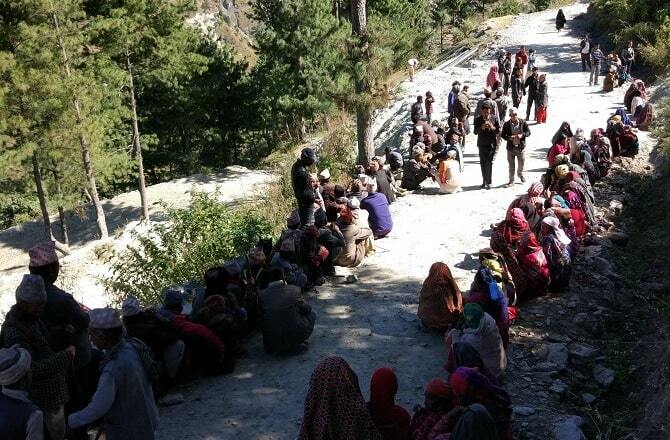 All the 1100 people who had walked for days to reach the eye camp were helped. These wonderful events are only possible due to the support we receive from our donors. Bhama’s surgery took only 20 minutes. 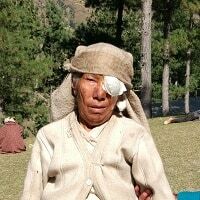 She and another 81 cataract patients can now see again! When Bhama came home, she saw her youngest granddaughter for the first time! Her happiness still moves me every time I think about her. The eye camps and the surgeries are a miracle for Bhama and cataract patients like her. A miracle that you help bring about. 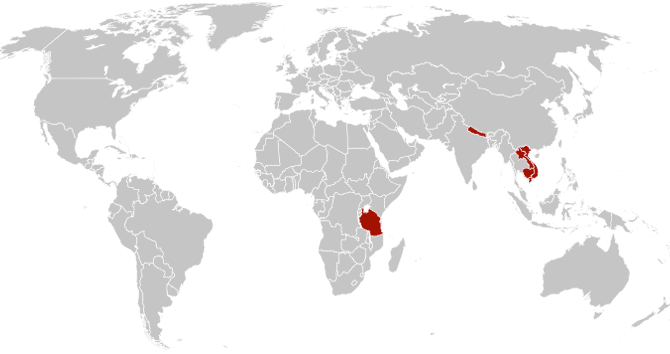 Large parts of Nepal are inhabited by people who have next to nothing. 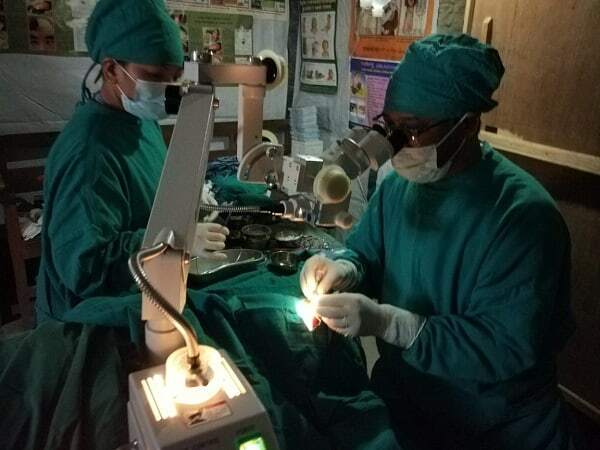 The eye camps must continue and I hope that you will continue to donate for cataract surgeries. Thank you! 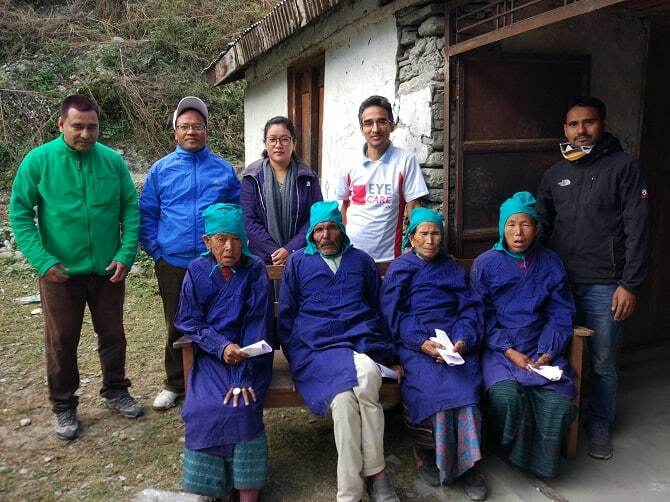 The next eye camp in the mountains of Nepal will take place in February or March, when the snow has melted. We expect 1000 people to show up to have their eyes checked, of which more than 50 will need cataract surgery. We need your help to let them see again. Will you please help? We welcome all donations, big or small. Thanks to you someone will regain their vision and you will also help the people close to him or her, such as Bhama’s daughter-in-law and granddaughter who love and need her. By giving 35 euros, you are donating a cataract operation and helping a whole family recover. Your gift today will make an eye patient’s deepest wish come true.